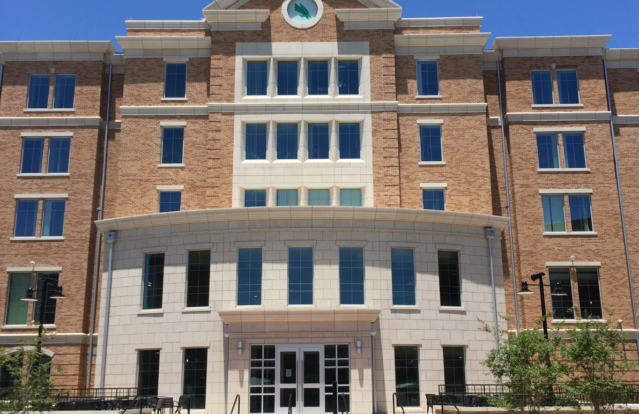 One of UNT’s newer campus communities, Rawlins Hall is a FRESHMEN ONLY residence and located at the corner of Maple Drive and Avenue D, across from the Gateway center on the southern edge of campus. 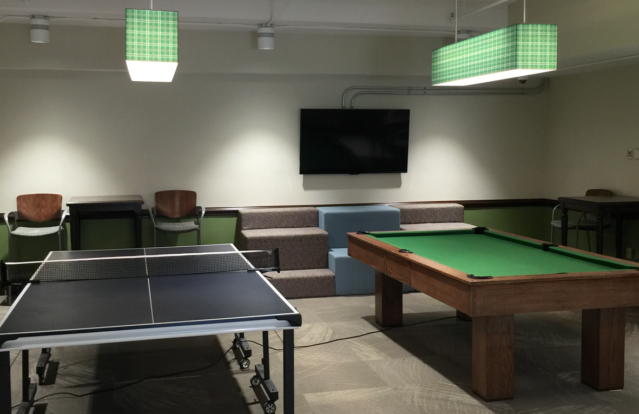 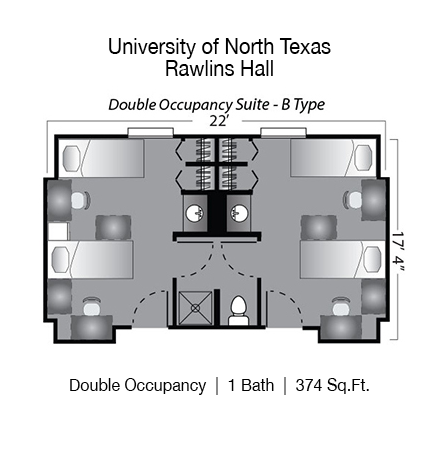 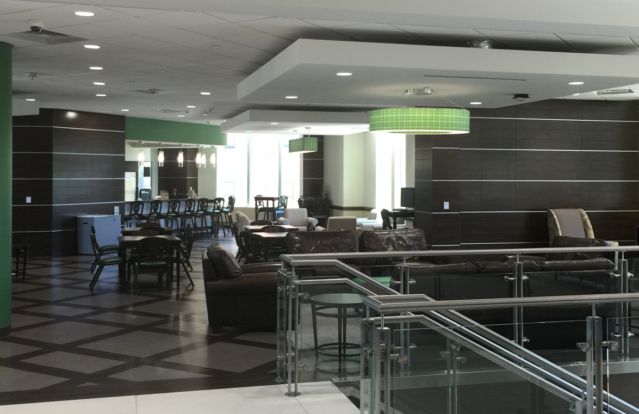 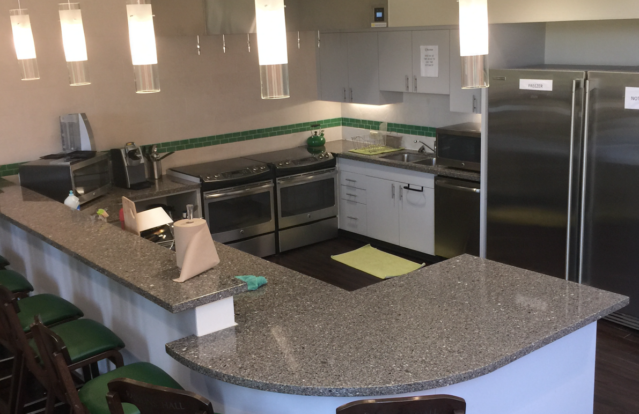 Rawlins Hall exclusively offers double occupancy rooms to freshmen and upperclassmen that are members of UNT Honors College as well as housing 2 of UNT Housing’s Living-Learning Communities. 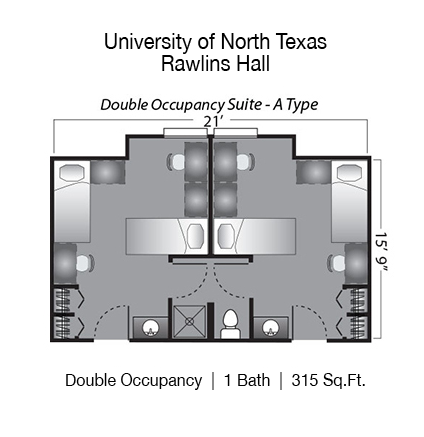 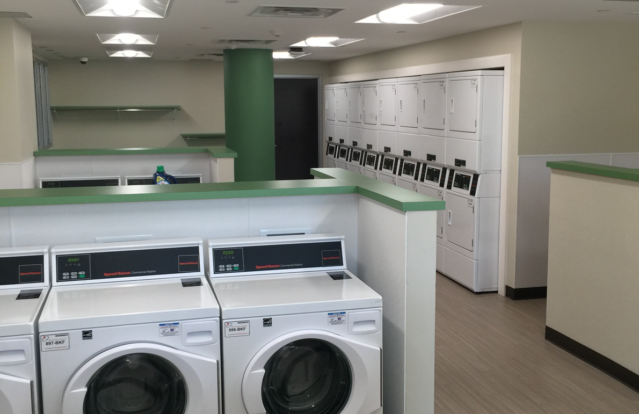 The double occupancy rooms with suite-style bathrooms provide an opportunity for a traditional freshman residence hall experience. 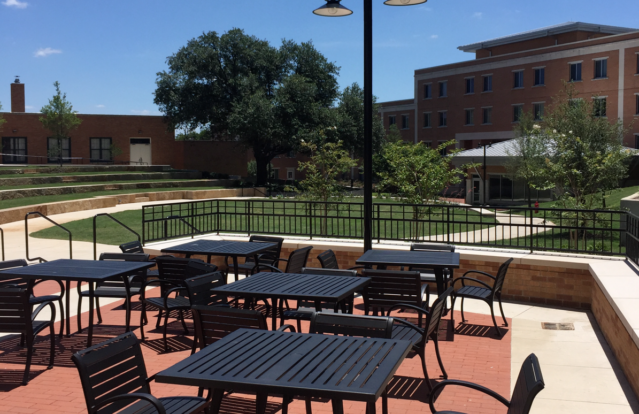 Rawlins Hall is designed with the academically-focused student in mind, offering an abundance of study rooms, small meeting space, music practice rooms, activity areas and lounges for residents to utilize throughout the building. 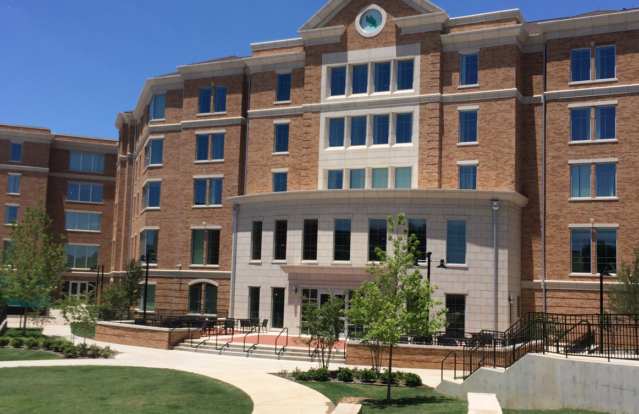 The connection of Rawlins Hall to the Honors College helps create a studious atmosphere for residents.